Founder of EBOMI Ministry, in Jos, Plateau State, Prophet Isa El-Buba, has urged Nigerians to come out in their numbers and vote during the 2019 general elections and to vote wisely too. He also urged all eligible voters who registered with INEC and have not collected their PVCs to do so and vote wisely during the polls. 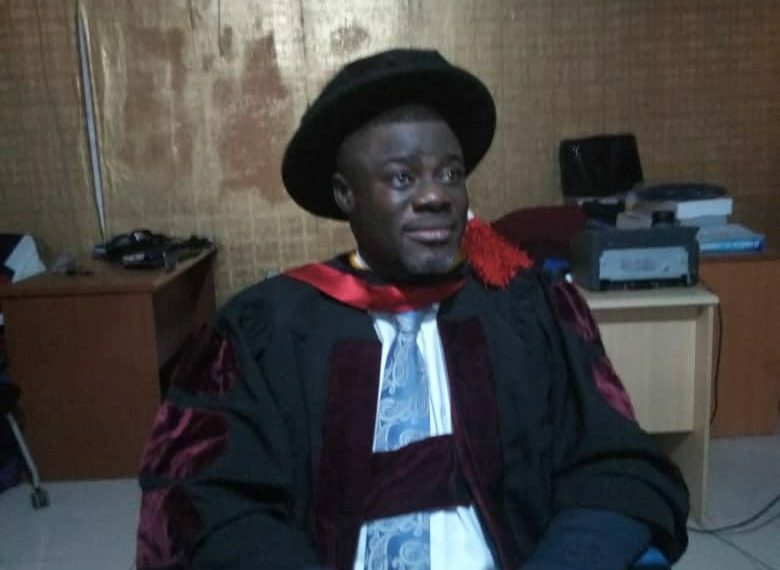 Prophet El-Buba made the call shortly after an Israeli University conferred on him a Doctorate Degree of Ministries, in Jos, the capital of Plateau state. According to him, â€œI admonish all Nigerians to come out in their numbers to and exercise their franchise during the 2019 general election. He expressed dismay that the administration of President Muhammadu Buhari is the most corrupt Government the country has ever experienced and said something urgent need to be done to salvage the country from the menace. The peophet alleged that the administration of President Buhari had lied to Nigerians that it defeated Boko Haram, but yet killing innocent Nigerians including armed soldiers. He said Buhari lied to Nigerians on procurement of arms to fight Boko Haram insurgents, hence the continue killings, including over one hundred Nigerians soldiers. Prophet El-Buba said the administration of President Buhari is the most corrupted and economically backward Nigeria has ever experienced. He recommended that President Buhari should sack all service chiefs for falling in their responsibilities to secure Nigerians, including lower rank soldiers confronting insurgents. Isa El-buba therefore call on Nigerian electorates to vote out President Buhari-led administration, explaining that lives of Nigerians was under threat. He said he will personally lead a crusade to eliminate the Buhari administration come 2019, because the present administration in Nigeria do not value lives. â€œImpunity by the present political office holders must be stopped. We Nigerians need a total revolution.â€ He stressed. Speaking on President Paul Biya, the clergy said he has over stay his welcome as President of Cameron. On the 2019 elections, the cleric cautioned against rigging during the general elections by the ruling APC government, informing that what happened in Ekiti and Osun governorship elections earlier this year was a shame. He said the continue detention of an Islamic cleric El-zakky is inhuman and suggested that he , by the Buhari government, Prophet El-Buba suggested that the detained Islamic cleric be place on house arrest rather than imprisoned. Prophet El-buba said the incumbent Kaduna state governor Mallam Nasir El-rufia, was inviting anarchy in Kaduna state by picking a Muslim to deputise him in the 2019 governorship elections.